How much does a mammogram cost? Our survey with WNYC: $0 to $2,786.95! We asked people to send in prices of routine mammograms for our project with WNYC. People told us what they were charged, what they paid and what their insurers paid. We knew that there would be some variation in what people considered a routine mammogram, and some variation in the price — but we never expected the range to run from $0 to $2,786.95! First things first: thanks to the nearly 400 of you who shared your bills. We went on the air with Brian Lehrer at WNYC public radio here in New York to talk about health prices, and asked you to send in your information. When you did, we learned a lot, and we are honored that you joined in with us. Mammogram prices charged, and payments made, as shared by WNYC listeners. Click for full image, and see the bottom of this post for data methodology. Credit Frederik Lindberg. Here at clearhealthcosts.com, we do pricing surveys for the self-pay prices for common procedures. What we have found here in the New York area is a range from $50 to over $600 for a mammogram if you ask in advance and pay cash; here’s our price list for New York and here’s one for the Los Angeles area. Your data from WNYC shows a fairly substantial number of payments by insurers around the Medicare rate for a screening mammogram, which is around $170. There is a substantial number of charges by providers, and payments by individuals paying cash, around $350-$550. Check below for tips on finding a cash or self-pay price. You told us you had heard $180 and $540 from the same provider. At another big New York teaching hospital, you told us charged prices ranged from $505 to $719 (one higher charge, $972, was identified as a diagnostic mammogram). The payments from insurers ranged from $129.35 to $698. A lot of people find bills impenetrable. A number of people are negotiating prices with providers, asking for a cash or self-pay rate. Negotiation of this nature is possible in advance, but harder after the procedure is done. Wait, aren’t mammograms supposed to be free under the Affordable Care Act? Yes, and the law is coming into effect. But (sigh) it’s complicated, so we did a completely separate blog post about that. You can find it here. There’s a great deal of confusion about what’s routine and what should be covered by insurance. Some of this seems completely innocent and accidental, but some seems to be annoying, costly for the woman involved and downright upsetting. 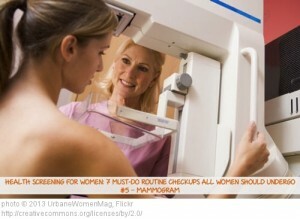 Is there a charge for reading a mammogram? Is a mammogram of any value without a reading? Is there a charge for receiving a mammogram from a provider? Can it possibly be right that a mammogram is not read fully on the first pass, so the woman needs to come back for a second one, that second one no longer covered by insurance? Hospitals generally charge more than self-standing radiology practices. The figures we received often were clearly a routine screening mammogram, but just as often they were something different — a diagnostic mammogram, for someone who has signs of cancer, or a family history, or something similar, and therefore the mammogram is no longer a routine screening but a search for cancer. Because the routine, screening one is generally less expensive and less comprehensive than the diagnostic one, the price results are a bit apples to oranges to kiwis to bananas. Even knowing those differences, the prices varied widely. Further, the price that’s charged is often completely disassociated from what’s paid. In general, insurers reimburse a fraction of the charged price. People are upset about their health-care bills and looking for some clarity. At clearhealthcosts.com, we are a partner to the Brian Lehrer show and thus we don’t have access to your email addresses under the WNYC terms of service. But we wanted a second opinion on what we were seeing, so we showed a limited data set to several people, including Dave deBronkart, a cancer patient and advocate for transformation of the health-care marketplace. He said he was blown away. “So pleased to see a number of people defining what they want and what they’ll put up with. Imagine what they’ll achieve when they have good information! “Ultimate takeaway: Consumers evidently do use the info they have, within the constraints we put on them. We talked a lot about whether or not we should name health providers. We decided to give props to providers by name if they were nonprofits, especially if they are clearly a resource that women should know about (see our collection of “useful links“). What we list on the clearhealthcosts.com web site — our surveys of cash or self-pay prices in cities in the New York area and California, and, soon, Texas — have names, address and phone numbers of providers attached to them, so people can go directly to a provider knowing what that provider charges for a cash or self-pay person. But with the WNYC survey data, we felt that naming a provider or payer for what looked like bad behavior was not part of our mission. (Our lawyers agreed.) How could we know if a provider didn’t read her exam properly the first time? We are not medical professionals. We are really annoyed at the place that imposed a $50 charge for receiving a mammogram — and the hospitals that sent bills to collection when they were under discussion, or failed to explain what they were billing for. But we won’t name them. We know enough about the system to know that there’s no one guilty party: incentives are misaligned, and so all the players are at odds. Providers say they have to charge inflated prices to win payments they can stomach. Payers say providers always inflate prices in an unjustified fashion. Government says it’s not able set prices or to regulate all transactions between for-profit entities that are doing business with each other. Drug companies say they don’t get enough money to cover research and development, and at the same time, they seek to put as many people as possible on their drug instead of a competitor’s. Device makers do pretty much the same thing as drug companies. Health care is a $2.7 trillion annual industry, and it eats up about 18 percent of our GDP. And yet the industry is opaque: no one knows what things cost in health care, because the price that’s charged by the provider is often not what’s paid. Providers tend to charge a high “notional” price, and payers (insurance companies, or the government) tend to pay a lower rate. Payers have a price that’s fixed by law (Medicare, Medicaid) or by contract (private insurers). So who pays the high sticker price? Uninsured and uninformed citizens. Rather than point fingers by naming providers and accusing them of misbehaving, we are going to say: It’s time for transparency. The system is broken. We needed to make a better form, to clarify what’s routine screening and what’s diagnostic. We learned a lot about how to do that, and next time we’ll do better. And yes, we’re doing more of this. Count on it. The cost of a mammogram (what it costs to provide it); the price (what’s charged); and the payment from the insurer or the government are not related in any consistent way that we could divine. The figures we received often were clearly a routine screening mammogram, but just as often they were something different — a diagnostic mammogram, for someone who has signs of cancer, or a family history, or something similar, and therefore the mammogram is no longer a routine screening but a search for cancer. Because the routine, screening one is generally less expensive and less comprehensive than the diagnostic one, the price results are a bit apples to oranges to kiwis to bananas. But even knowing those differences, the prices varied widely. Further, the price that’s charged is often completely disassociated from what’s paid. In general, insurers reimburse a fraction of the charged price. Because this went through our partner WNYC and their terms of service do not allow them to pass on emails, we can’t thank you, our contributors, directly any way other than here and on WNYC. So, thank you again. You are awesome. They tend to have a number, and the numbers are all over the map. In NYC alone, we found people charging as little as $50 and as much as $1,100 and even more. We recommend that you use our search box at the top of our home page to find out what Medicare pays for that procedure in your area. Here’s a link to the Kansas City results: In Kansas City, the $11 is for a processing fee that seems to sometimes be charged and sometimes not, and $79 for the actual procedure. Then you could use that info to survey providers yourself. As you are calling, keep notes: names and phone numbers of people you’re talking to. When you settle on a provider, call back, and ask for the price in writing, or ask for a receipt upon payment stating that you are paid in full for this procedure. Always choose accredited providers; in the case of mammograms, the American College of Radiology accredits providers. Here’s a page where you can find providers in your area. In the survey of mammogram costs, you gave us 325 substantive responses. (Some responses did not have numbers but many of those were valuable as well, like the several responses directing us to free mammogram providers.) Some were exact duplicates, probably due to saving twice, so we removed the duplicates. There were two responses that clearly stated that the price was for both mammogram and ultrasound exam/sonogram, so we took them out for this analysis. In some cases, amount charged and negotiated price were in the comment section only, so we transferred those numbers to the correct fields. We then for this analysis looked at only responses that have a non-zero amount both for “Price” (the amount the provider charged/asked for) and “Payment” (the amount the provider was paid by the insurance, the customer, or both). This left us with 214 responses. This is not a scientific study of prices, just reports from interested persons. The questionnaire was quite complicated, to say nothing of the insurance forms, so there are likely some reporting errors. We also believe that several reports were for tests and services more complicated than a screening mammogram, which may explain some of the high price and payment points. Still, mammogram prices are very variable and most mammograms are paid for at a rate far below the listed price. It’s worth your time to ask about the price and to negotiate, especially when you pay yourself or go out of network! This is Part Two of our WNYC “price of a mammogram” series. The series is outlined here.